Please enter the name you would like to include on the Campfire storage bag. Great for play camping at home, school, music class, libraries, offices, photo props, displays, party decor or sleepovers. This uniquely created campfire play set fits all of your needs. 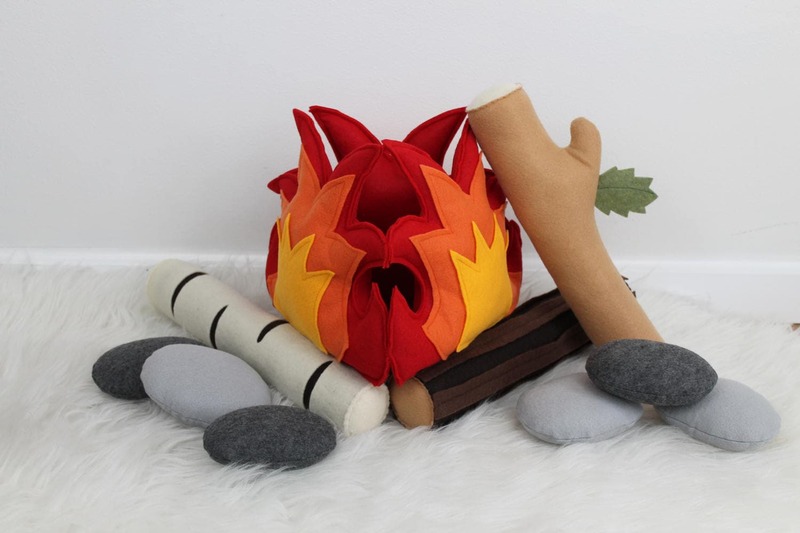 Each side of this 3 sided campfire is individually stuffed to be sturdy enough for all types of play. Plus its open center allows for placement of flame-less light to create a safe year round camping experience! 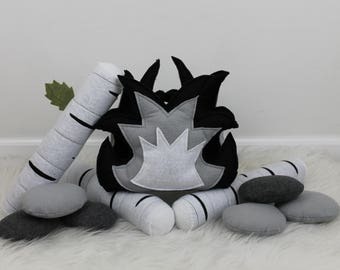 *1 Plush three sided self standing plush fire. Approx. 8.5 inches tall. *3 Separate style logs: white birch, bark, and pine with a leaf. Each individually detailed & approx. 12.5 inches long. *1 drawstring CAMPFIRE storage bag. (Name customization on bag available upon request. *1 drawstring CAMPFIRE storage bag (Name customization on bag available upon request. *Ax playset not included, but available in main shop page. *S'mores play set not included, but available in main shop page. *Teepee is a photo prop and NOT included. *Small items should be watched around children. *All shop items are handmade to order in a clean, smoke and pet free environment and can be customized upon request. Fantastic and beautifully made, I will continue to look at your items. 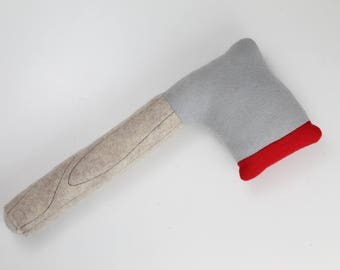 What is the best way to clean felt toys? 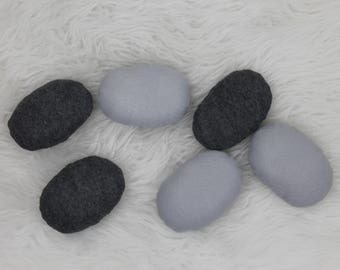 Due to the nature of Eco- felt fabric I recommend using spot cleaning methods with a small dab of mild detergent. 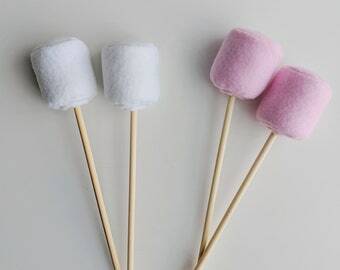 Eco-felt although very strong and durable for child's play, will start pilling when wet.